Wow everyone - what a great series of photos last week! I want to go on a road trip now! This week's is a classic. 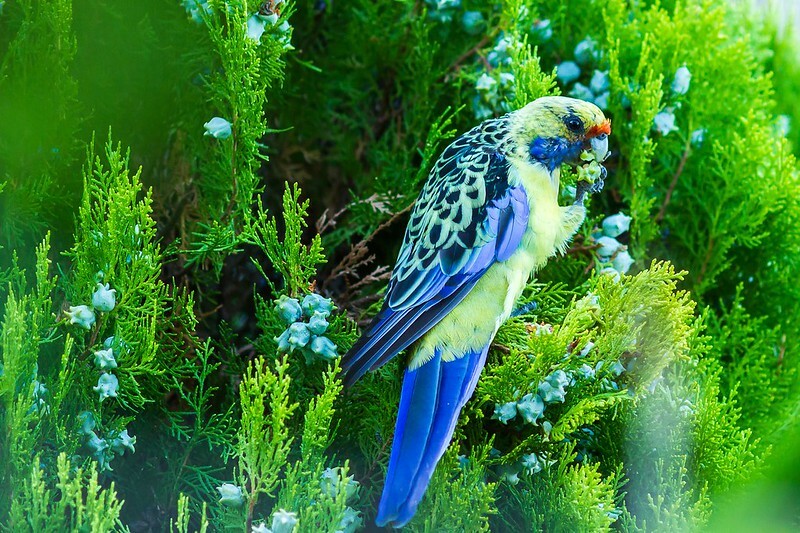 They are the birds that most people connect with and love - the parrots. Lets see some great parrot photos. 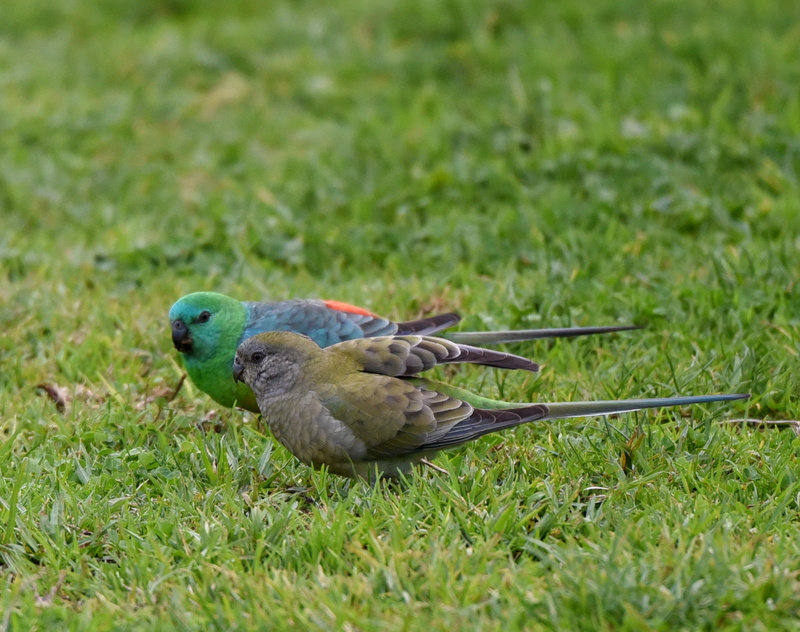 Spotted this colourful couple at Dights Falls. 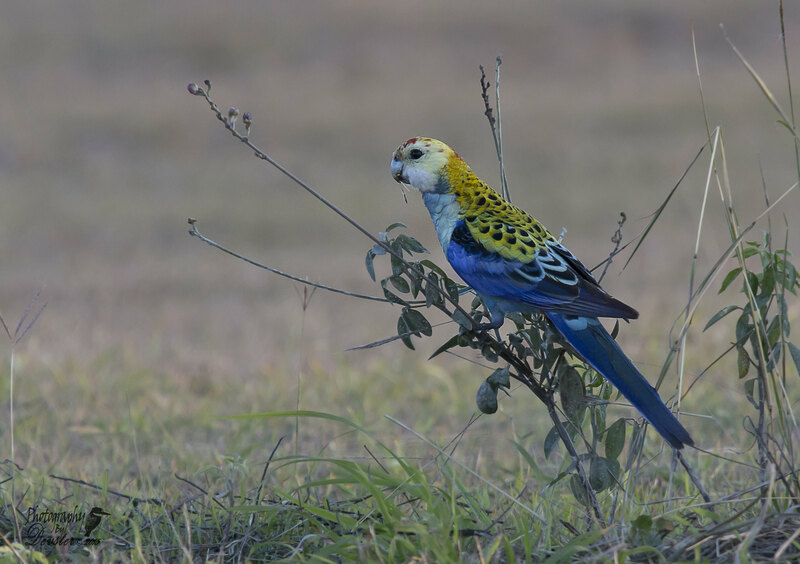 I found this Eastern Rosella on the week-end.The weather was terrible hence the grey background. 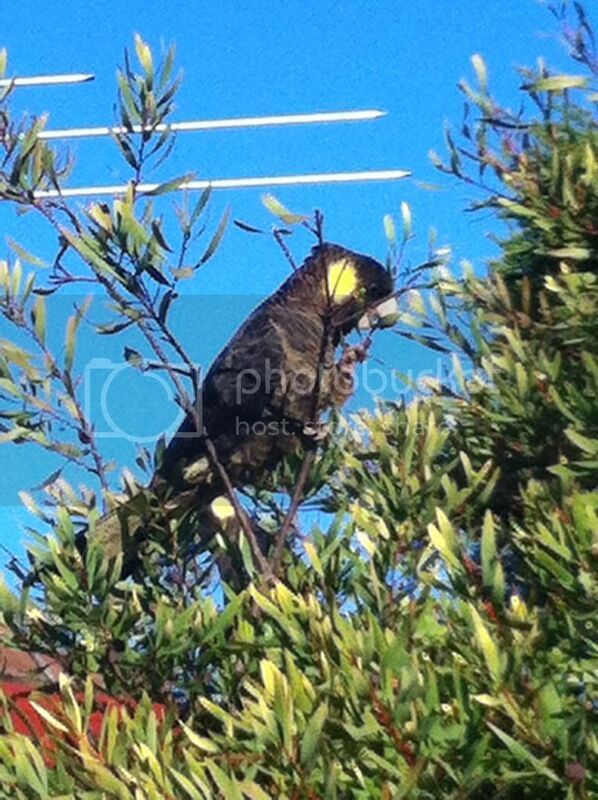 Yellow Rosella having a meal. 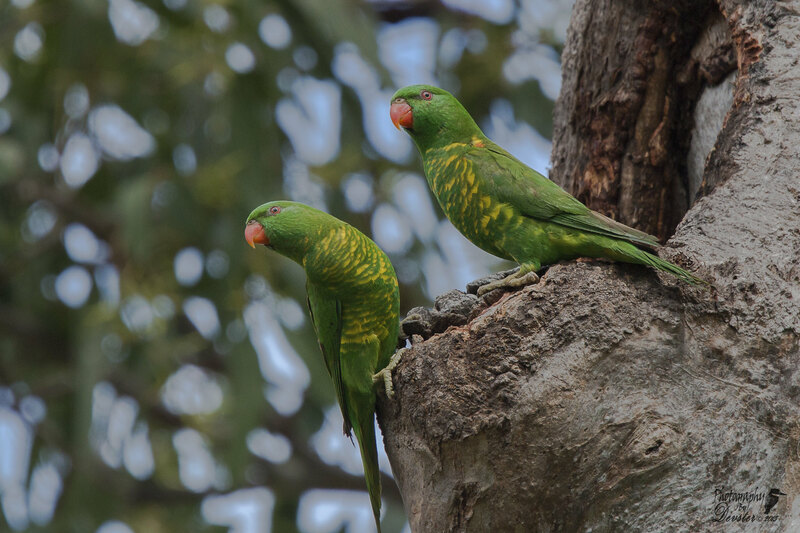 King Parrots, when I am in the garden they sit in a tree above me and make a quiet chortling noise. 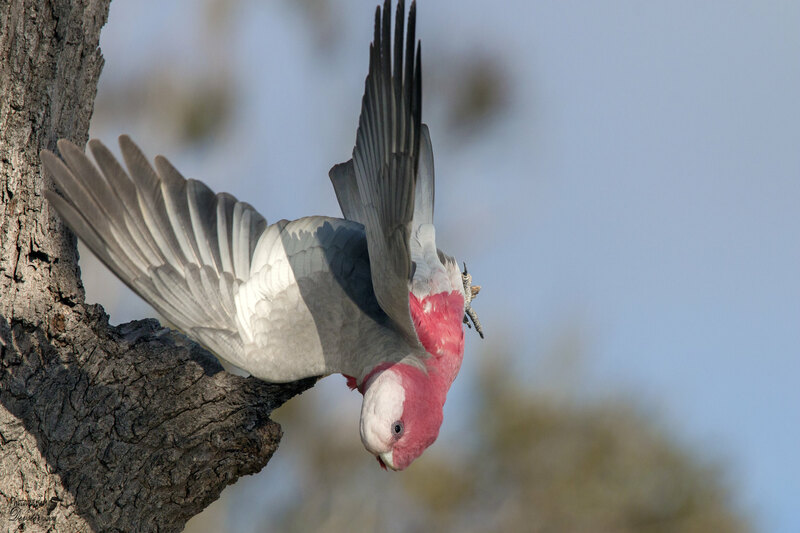 We get lots of Galahs in Samford, although this one was not taken there. They remind me of the Aussie outback. Palm Cockatoo from Cape York. 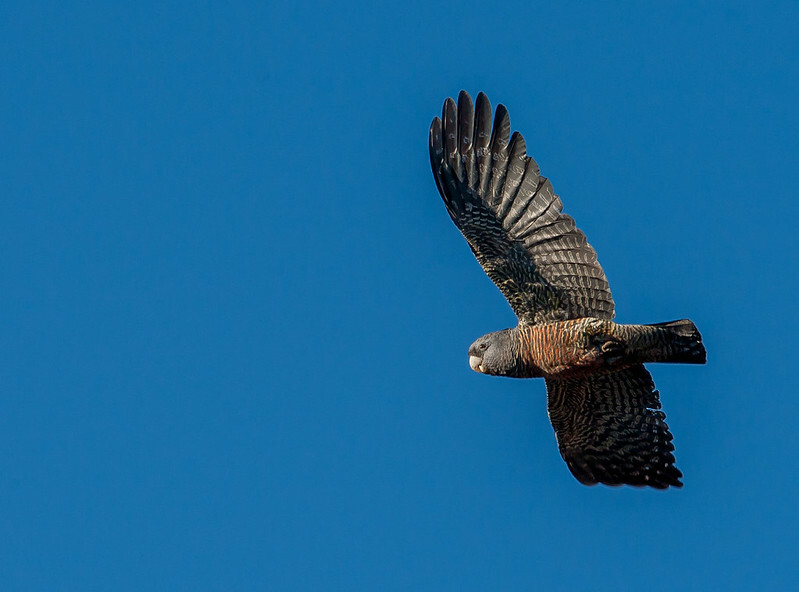 I don't think I have ever seen a photo of a Palm Cockatoo, is it possible to see some if you visit Cape York? 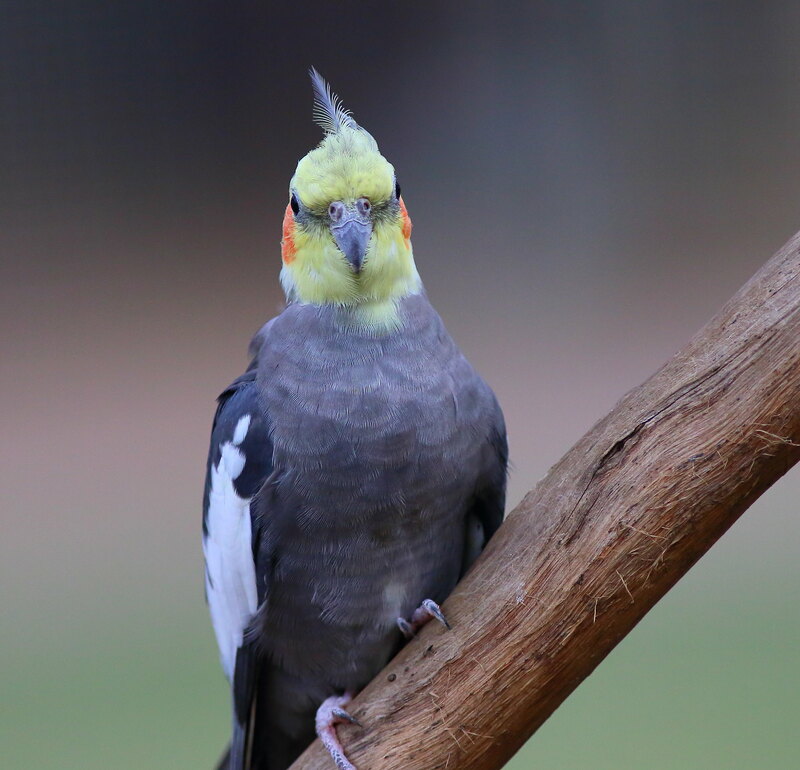 On the morning I took this photo there were several feeding in a Pandanus tree next to our camp site so I suppose the answer to your question is yes but as with all species no-one can gaurantee a sighting. 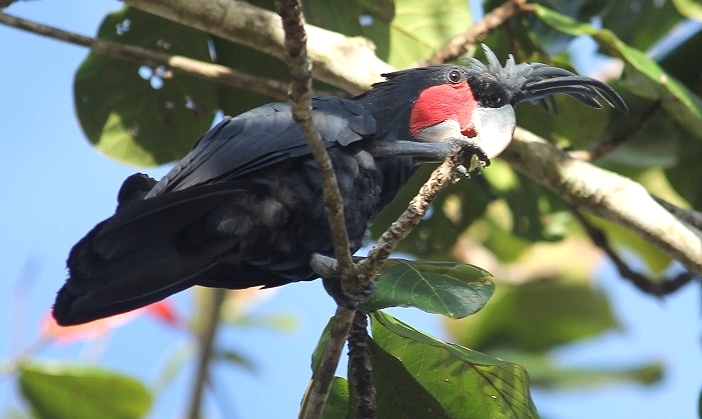 From Wiki,"The palm cockatoo, also known as the goliath cockatoo or great black cockatoo, is a large smoky-grey or black parrot of the cockatoo family native to New Guinea and far north Queensland, Australia". excitement when planning, if there is a possibity of seeing a bird like the Palm Cockatoo. Unfortunately did not have camera at work this day, but was lucky enough to be within a few metres of about 6 Yellow Tailed Blacks. Taken with an old iPhone. 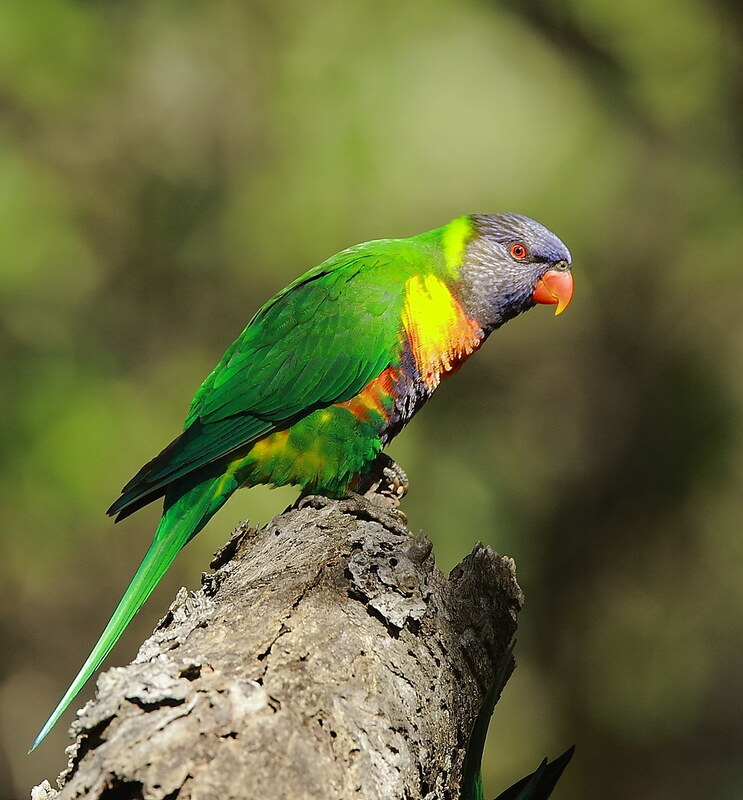 Here is a Musk Lorikeet, just to add to the variety! Elegant Parrot basking in moonglow. Male Turquoise Parrot. The species name N. pulchella is accurate, Latin for beautiful. I keep forgetting there is this section in the forums. For once i remembered so here is a portrait of a sulphur-crested cockatoo from Blue Mountains NP. 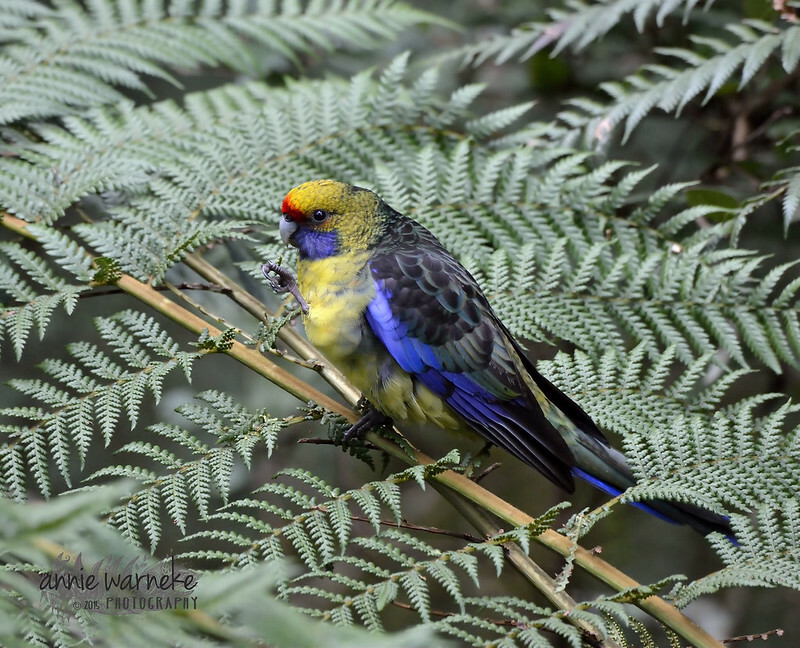 what I have always thought was a Blue Winged Parrot in the Boolarra State Forest, Gippsland. Hi rozkid, looks like a Blue Winged to me. Well outside Rock Parrot range, very prominent blue shoulder patch and the blue forehead band seems to stop at the eye. Major Mitchell right on dusk at Gluepot Reseve. Really like this one Rick, it would be perfect for a magazine cover with all that dark area for the print to go on. 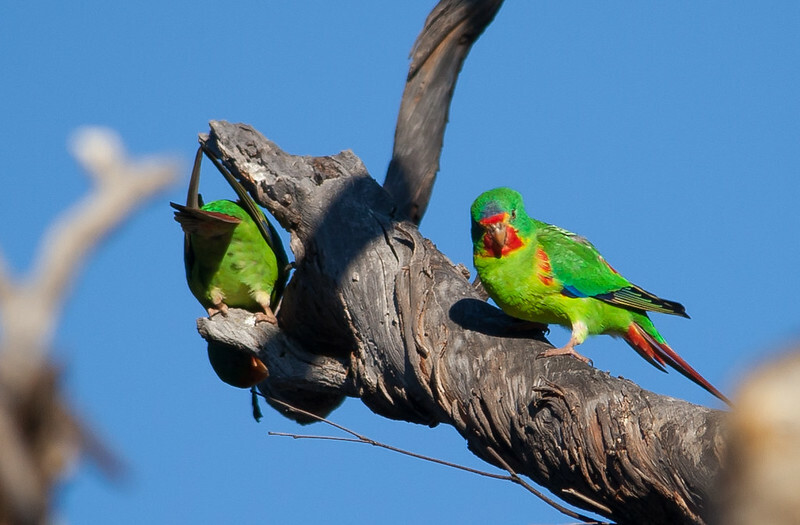 Below are some Little Lorikeets. They were checking out a nest hollow, which was exciting to see. 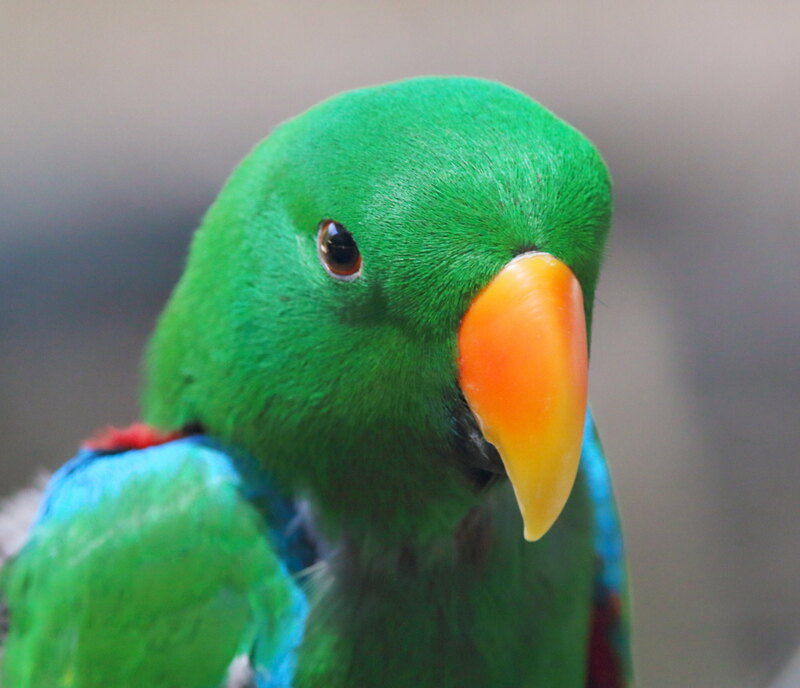 Unfortunately I couldn't find any better quality photos, but I wanted to add yet another parrot to this weeks theme - it's like a challenge haha. Some amazing pics, many parrots which I have never seen before! Species #25, if I count correctly. Crimson Rosella. Mulga Parrot female, Gluepot Reserve. Thanks Shorty, Flash just reached even with a beamer so a bit of luck with this one. 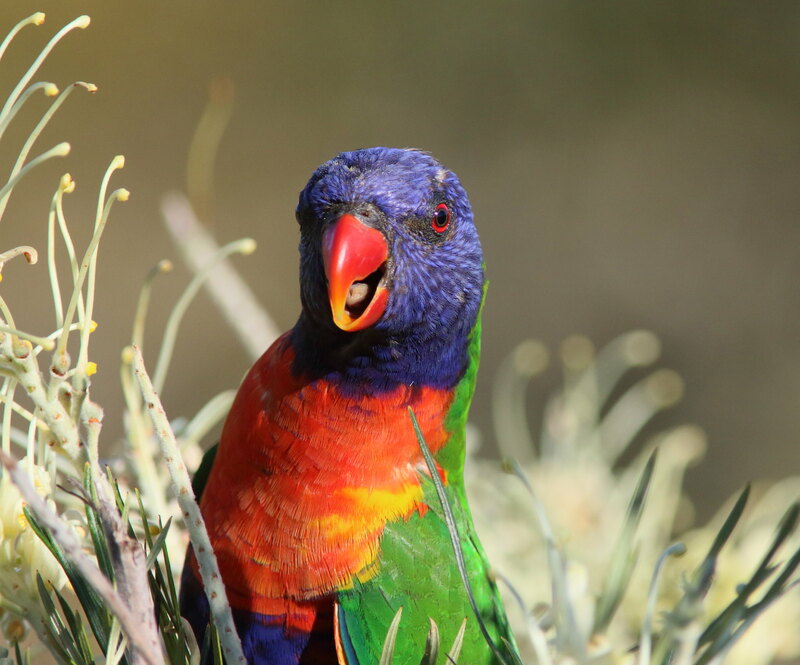 Love it when it's a parrot week - such an awesome rainbow of parrots we have in our beautiful country. Here's an old photo of a Tassie endemic, beautiful Green Rosella. Wish I had one I haven't posted before, but really struggle to get near these particular guys out in the bush, always seem so skittish - well the ones I come across anyway. Not the greatest of photos (although mine never are) but I thought I'd add the beautiful Crimson Rosellas that often feed in my garden. You're right Zosterops, looks like I gave him a bum steer. Sorry Reflex. 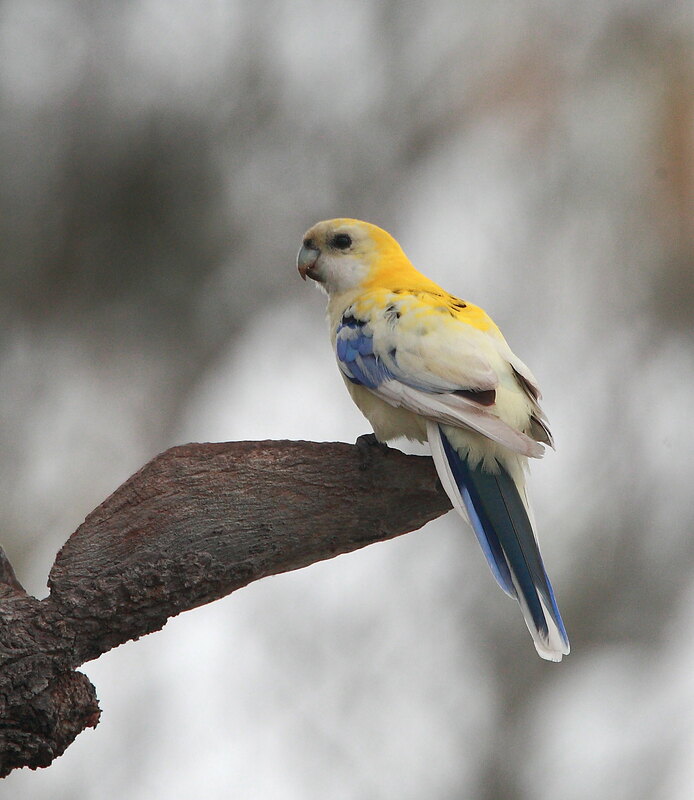 Its funny though, it doesn't look like a standard Pale headed, It is more like Pale Rosella.